Eurodollar has started a fast correction. The main target is still the group of lower fibo-levels, but in order to reach them, the pair has to reach several fibo-levels near level of 1.2450 first. 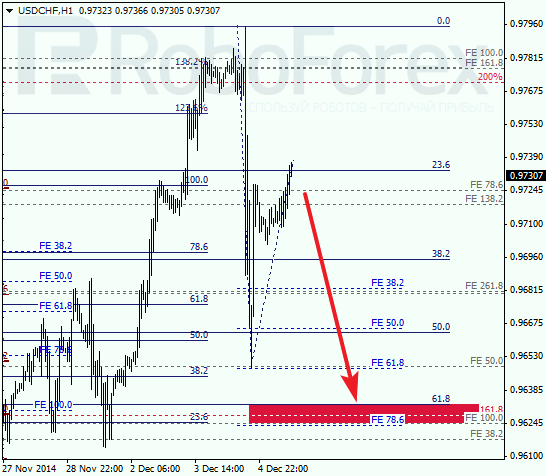 At the H1 chart, the target of the current correction is confirmed by several local retracements. 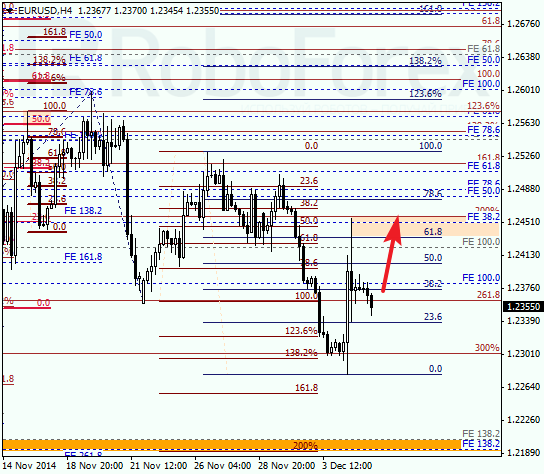 If the pair rebounds from them, the downtrend may resume, thus allowing to start selling again. Franc is also being corrected. 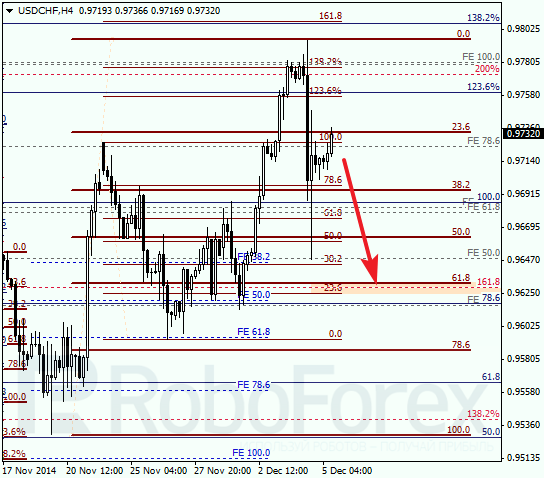 Probably, in the nearest future the pair may continue falling towards the group of lower fibo-levels at 0.9630. If the market rebounds from this level, the price may resume moving upwards. 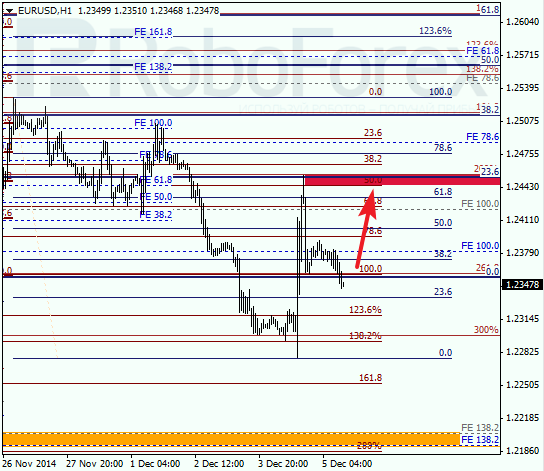 At the H1 chart, the predicted target of the current correction is confirmed by short-term retracements. I’m staying out of the market so far and planning to start buying again only after the market reaches the target area and rebounds from it.